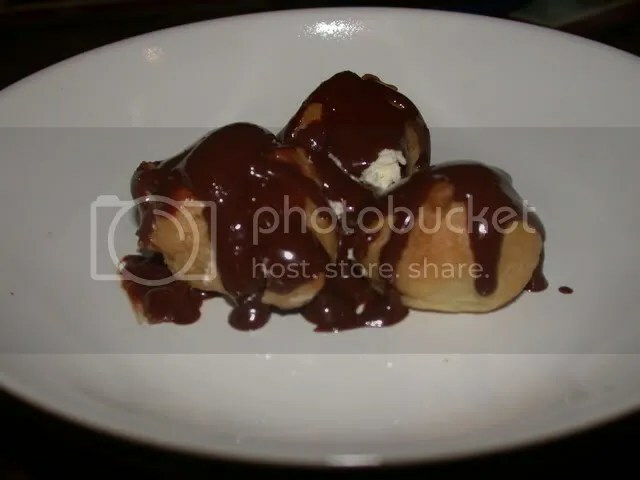 I tried making chocolate profiteroles 3 times last night. I wasted too many eggs and flour. I tried twice today (the first time didn’t work out). The problem: It seemed like my batter was a bit too runny. I used piping bag to make this recipe and everytime it became flat. FLAT. Then with some miracles, it seemed to work but as soon as I removed the puffs from the oven, they became flat again. FLAT.